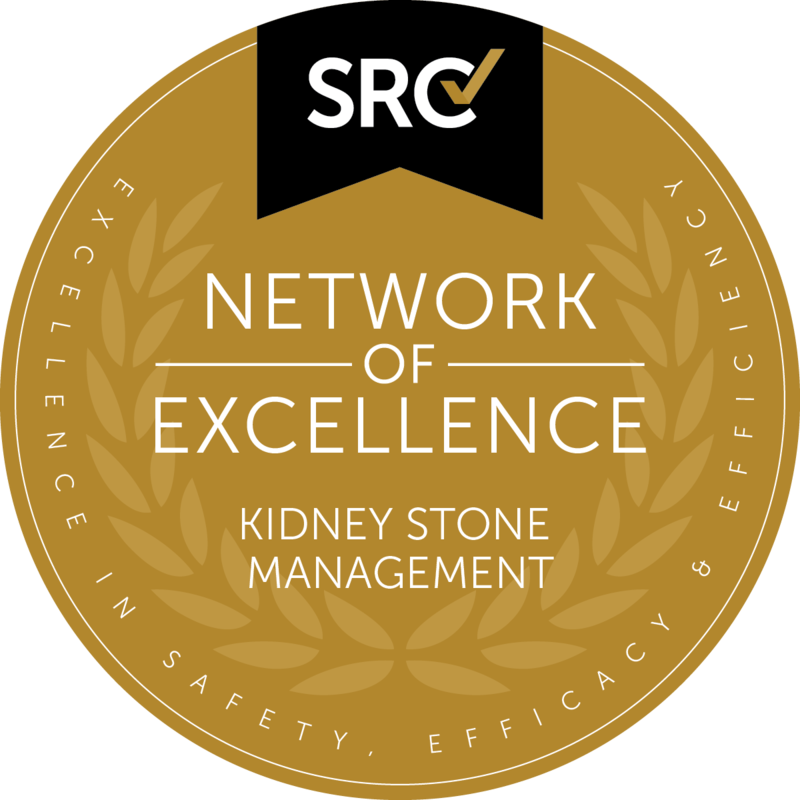 The Kidney Stone Management Network of Excellence accreditation is awarded to multi-hospital systems that have achieved the Center of Excellence in Kidney Stone Management accreditation. Collectively, these hospitals have implemented system-wide pathways and procedures to ensure that excellent care is uniform irrespective of where patients choose to have their kidney stone surgery performed. Applicant hospitals and participating urologists must all be COEKSM or MUKSM designees. A network must have at least three participating hospitals within the same hospital system to qualify for the Network of Excellence in Kidney Stone Management and must be located within a 100 mile radius. Facilities must maintain consistency across COEKSM requirements 1 and 4-10 in all participating facilities. Network facilities and surgeons must meet or exceed COEKSM volume and outcomes criteria. If a facility applies and is approved for a volume waiver, only Master Urologists in Kidney Stone Management may perform procedures at those facilities. There must be one Network Physician Program Director for kidney stone management, and each participating facility must have an individual Physician Program Director. The Network Physician Program Director and individual Physician Program Director may be the same person at one facility. Meetings with all Directors must be held regularly, at a minimum quarterly. The Network must have one Network Program Coordinator (typically a nurse or non-urologist manager of the department) and each participating facility must have individual Program Coordinators. Meetings with all Coordinators should be held regularly, at a minimum quarterly.